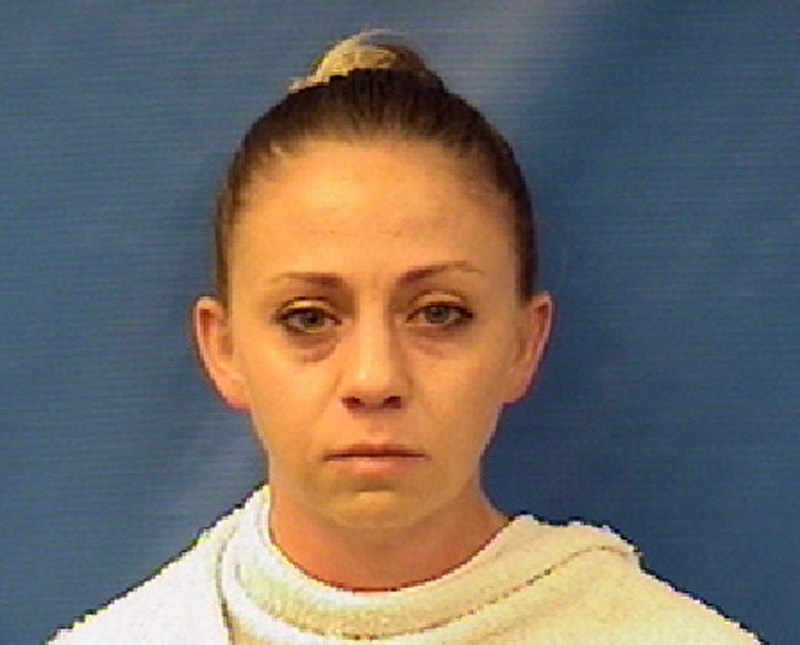 Amber Guyger, a 30-year-old white police officer who says she mistook Botham Shem Jean's residence for her own, has been arrested for manslaughter. A white police officer who fatally shot a 26-year-old black man in his own apartment in Dallas, saying she thought it was her home, was arrested Sunday, authorities said. 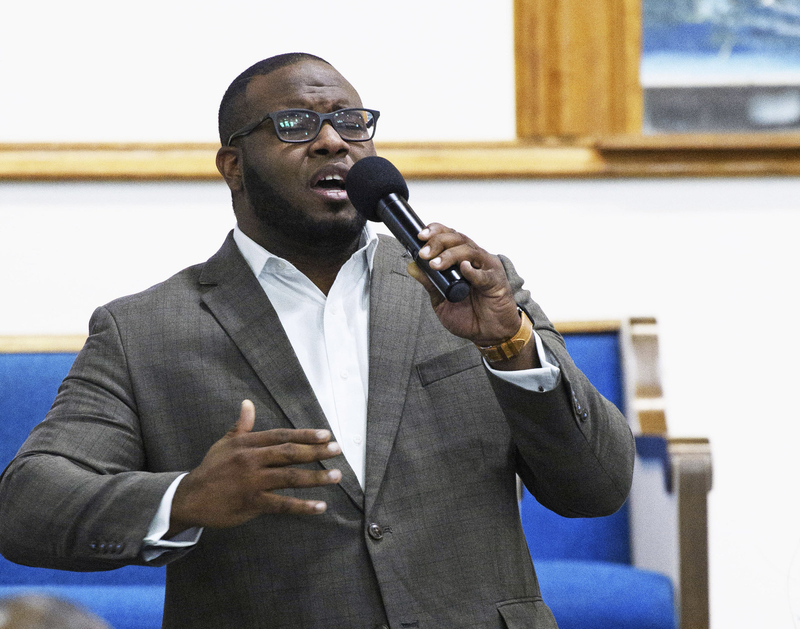 The officer, identified as Amber Guyger, was charged with manslaughter in the death of Botham Shem Jean, according to the Associated Press. She turned herself in to the Kaufman County jail Sunday night and was released on a $300,000 bond, Kaufman County Sheriff's spokesperson Jolie Stewart said. Guyger was off-duty but still in uniform when she shot Jean at the South Side Flats, after entering his apartment, which she has said she mistook for her own residence. Police said she thought he was an intruder, but it was not clear why she thought the apartment was hers or what kind of interaction she had with Jean before the fatal shooting. Officials said Guyger's blood is being tested for alcohol or drugs, but the results have not yet been released. The Dallas Police Department said Saturday that the case had been turned over to the Texas Rangers, the state’s top law enforcement agency, which carried out Sunday's arrest. BuzzFeed News reached out to the Texas Department of Public Safety, which oversees the Texas Rangers, for more information about the arrest and charges, but did not immediately receive a response Sunday night. Dr. Pamela Grayson raises her fist as "Young King" Solomon Grayson, 6, peeks behind her sign during a Mothers Against Police Brutality candlelight vigil for Botham Jean at the Jack Evans Police Headquarters on Sept. 7 in Dallas. Jean's family and activists in the community had been calling for the arrest of Guyger, who was placed on administrative leave after the shooting. In a press conference before the announcement of the officer's arrest Sunday, attorneys representing Jean's family demanded that Guyger be charged, and insisted that she not receive special treatment because of her position on the Dallas police force. "We don't need evidence beyond a reasonable doubt at this point," attorney Lee Merritt, who is representing the family, said Sunday. "At this point, we need probable cause of a crime. And the existence of probable cause is painstakingly clear to everyone." Jean was from Saint Lucia in the Caribbean and graduated from Harding University in Arkansas in 2016, before moving to Texas, where he worked for the accounting firm PwC, formerly known as PricewaterhouseCoopers. In a tweet Friday, the firm called the shooting a "terrible tragedy" and said it was "heartbroken" to hear of Jean's death. Guyger has been part of the Dallas Police Department for four years. According to court documents, she was involved in the shooting of a suspect in 2017, although no charges were filed against her at the time and the suspect later admitted to trying to reach for an officer's service weapon. Following her arrest Sunday, Dallas Mayor Mike Rawlings praised Texas Rangers and Dallas Police Chief Renee Hall for their handling of the investigation and thanked the community for being "respectful of the investigative process over these past few days." "Please continue to pray for the family of Botham Jean in the weeks and months ahead," Rawlings added.